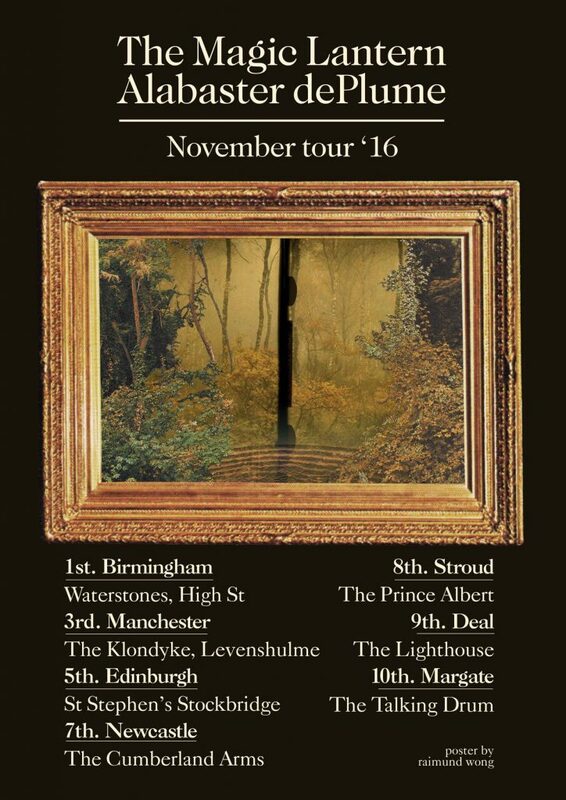 Alabaster dePlume is now on a double-headline tour with his friend Jamie Doe (AKA The Magic Lantern). They will be playing in Birmingham, Manchester, Edinburgh, Newcastle, Stroud, Deal and Margate. Jamie is keeping a tour diary over on his blog here.